There has been a lot of press as of late speaking of the influx of children coming into the United States from Central America. Since 2009, there has been an a dramatic rise of unaccompanied children coming from Central America. Why? Some believe that they are coming here because they are looking for a better life and have heard that the U.S. is easier on children than adults. Why would children risk crossing deserts, going hungry, risking the possibility of being trafficked, etc.? Why would parents allow this? The United Nations has been asking these same questions. Brian Resnick of the National Journal questioned Leslie Velez , senior protection officer at the U.N. High Commission for Refugees. “The normal migration patterns in this region have changed,” Ms. Velez stated. They are not coming for economic opportunity. They are fleeing for their lives.” The U.N. High Commissioner on Refugees surveyed 404 children from Mexico and Central America. The report states that “no less than 58 percent of the 404 children interviewed were forcibly displaced” to a degree that warranted international protection. 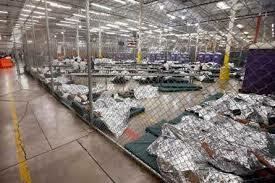 If the U.S. refuses these children, it could be in breach of U.S. conventions. These are refugees no more or less than we are seeing in the Middle East. This time we are the receiving country. Why are they fleeing for their lives? In 2009, the democratically elected President of Honduras was overthrown by a military coup ( some of whom are graduates of the School of the Americas). The U.S. has provided support ever since in the form of arms and support for the corrupt government that emerged after dubious elections in 2009 and 2013. Violence in Honduras is so high that people are scared for their lives. Children are being recruited by gangs and drug cartels in Honduras, Guatemala and El Salvador. They are given little choice because of their vulnerability. Adult gang members and drug pushers feel that children provide them with safe cover. These children don’t want to be in gangs or to be involved with the drug cartels so they flee. This is similar to the child soldiers we heard about in Uganda. It is easy to think that children are coming to the United States from Central America for a better economic life. It appears that, at least for 60% of them, they are just coming for a chance to live. You can also give testimony to your congressperson. Let them know that the humanitarian approach to this is to treat the children as refugees and increase funding for immigrant services.